Hashim Attar is a 20 year old student with a story that begins in distant Jeddah, Saudi Arabia. He began his education at Saint Martin’s University just a couple months ago, but the path leading up to this has not been a predictable one. Attar has studied English since first grade. In addition to English, he studied French at the urging of his parents. His father is a dentist, and is mother was an interior designer until recently when she and Attar’s uncle opened a pastry shop where they make delectably exotic pastries. Along with running the pastry shop, she is a stay-at-home mom and helps run a women’s orphanage. Attar has two older siblings, both sisters – one is a doctor, and the other does landscape and design. He also has one younger brother who is in high school and lives at home. Attar laments that his mother is starting to feel empty nest syndrome and enjoys Skyping with him often. Attar’s journey to the United States began inninth grade when his junior high school sent a letter to his parents saying that his high school department would be closing in the near future and that they needed to transfer him to a new institution. Attar’s only option at this point was to look for schools in the country of Jordan, north of Saudi Arabia. His school of choice was a recently opened boarding school, King’s Academy, a replica of Deerfield Academy in Boston, MA. As the name suggests, this school was developed by King Abdullah II of Jordan. Attar decided he might as well experience boarding school while he is young, especially because it is close to home. With only a couple hundred students, there was a great sense of community similar to that of SMU. While growing up, schooling had been very traditionally Middle Eastern. However, this high school had American style classes with Middle Eastern standards. Some American aspects of the high school included the SAT and AP (Advanced Placement) classes, while traditionally Middle Eastern aspects included classes on religion. During his senior year of high school, Attar served as an assistant coach of the varsity soccer team. He loves soccer and was great at his job, so much so that the varsity players asked the head coach to quit and for Attar to take over! As would be expected, the head coach was not interested in making such an agreement. Instead, Attar took over the head coach position for the junior varsity team because the previous coach had quit the job. With 24 students, Attar was faced with a difficult decision and had to cut 10 players. Attar says he needed to “make a team of elites.” Being a young coach tested Attar, but he was able to overcome seemingly insurmountable obstacles and unify his young team. In the end his hard work paid off and he was awarded “Best Athlete and Scholar” at his high school graduation. King Abdullah II personally handed Attar his high school diploma while surrounded by snipers to protect the king. He failed to mention earlier that he coached the prince of Jordan! 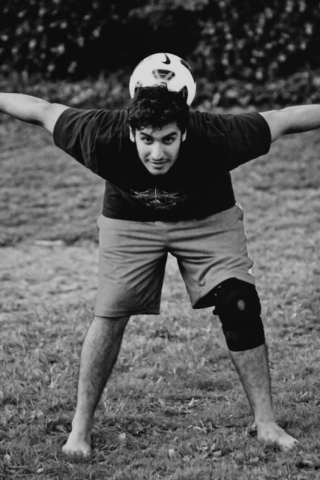 Because Attar was so skilled in soccer playing, his coach wanted him to apply for a scholarship at Harvard, but this idea was stopped in its tracks during an unfortunate couple of hours of just-for-fun soccer playing time before an AP test. The uneven ground that had so frequently landed helicopters caused Attar to trip and tear his ACL. A soccer scholarship was out of the question. However, he continued looking for schools in the U.S. because Saudi Arabia does not provide the prestige he needs for programs in Civil Engineering. 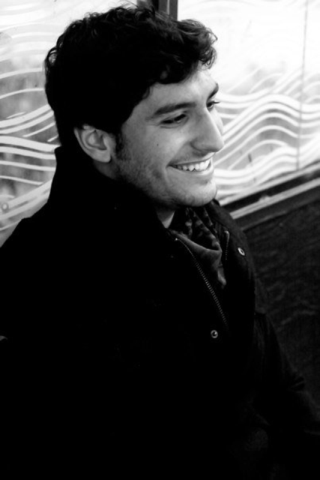 Out of 10 to 15 schools, Attar chose to go to the University of Washington in Seattle, where he spent three years; however, his sponsors in Saudi Arabia who are providing his tuition had difficulties with the administration to the point that he could not register for classes each quarter early enough to get into the classes he needed to “pursue [his] dream career,” so UW listed two universities to which he could transfer, and he chose SMU. He likes the atmosphere at SMU much better than at UW because there is a greater sense of community, much like at King’s Academy. According to Attar, there are many cultural and climatic differences between Jeddah and Washington, in addition to misconceptions. Because his home is in the far west of Saudi Arabia, on the coast of the Red Sea, the terrain is flat, but it is not the desert that many Americans think about when they imagine the Middle East. Attar laughs, talking about how many people in the United States ask him if he rides to school on a camel. But in all reality, transportation is not much different from the U.S. At 122 or more degrees Fahrenheit during the summer, with an average of 95 degrees Fahrenheit year-round, the main difference in transportation is that it is too hot to go walking down the streets. Jeddah is a more open-minded, less traditional area of Saudi Arabia as well, so he grew up accustomed to more varying ways of life, especially after going through a more American version of high school. Apparel in Jeddah varies; it is common for people to wear white thobs, which are a lot like button-up shirts that extend to the floor. However, it is normal for men to wear pants and shirts as well. Women must wear a black cover on their heads, but their faces do not need to be covered. In Jeddah, these covers are a sort of fashion, with varying designs and colors. As far as religion goes, Attar relays that it is not a big conflict as Americans tend to think it is. The main religions at King’s Academy were Christianity and Islam, but there is no more animosity between the two than there might be anywhere in the U.S. He also described that the people of Saudi Arabia tend not to revolt. They let the government handle things and are really not the extremists some Americans imagine. Another cultural aspect of Saudi Arabia that is much different from the United States is dating. The traditional way is a man telling his parents that he would like to be married. They take it into consideration, and ask close friends about any single women that they know would make a good fit. However, the untraditional way is more secretive. Couples that wish to date one another must find times to get to know each other in private and around close, trusted friends. When they make the decision to get married, they tell their parents, at which point they date publically at family gatherings to show that they are committed to each other. The wedding then follows. After graduating from SMU, Attar hopes to either work for a while in order to get experience in Civil Engineering before pursuing his master’s degree, or he will continue into his master’s degree immediately, so that he can return to Saudi Arabia sooner to work for the employers that are providing his tuition. In the meantime, Attar is enjoying his time abroad and awaits many new exciting experiences.